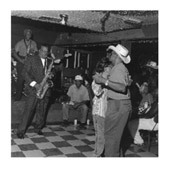 In the clubs, ballrooms, and barbecue joints of neighborhoods such as Third Ward, Frenchtown, Sunnyside, and Double Bayou, Houston’s African American community birthed a vibrant and unique slice of the blues. 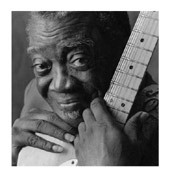 Ranging from the down-home sounds of Lightnin’ Hopkins to the more refined orchestrations of the Duke-Peacock recording empire and beyond, Houston blues was and is the voice of a working-class community, an ongoing conversation about good times and hard times, smokin’ Saturday nights and Blue Mondays. 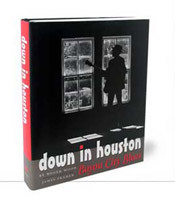 venues, to present a lovingly detailed portrait of the Houston blues scene, past and present. Going back to the early days with Lightnin’ Hopkins, they follow the blues from the streets of Houston’s Third and Fifth Wards to its impact on the wider American blues scene. Along the way, they remember the vigorous blues community that sprang up after World War II, mourn its decline in the Civil Rights era, and celebrate the lively, if sometimes overlooked, blues culture that still calls Houston home. Wood and Fraher conclude the book with an unforgettable reunion of Houston blues legends that they held on January 3, 1998. "This book beautifully depicts a wealth of Houston traditions which, though neither hidden nor secret, remain unknown to most of the city’s people." 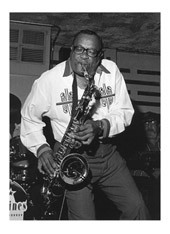 "Wood’s portraits of Houston blues artists are notable for their emphasis on community membership over career and are well complemented by Fraher’s dignified portraits and warm candid shots." All photos © 2000 James Fraher. All rights reserved.